Enchanting in pink. 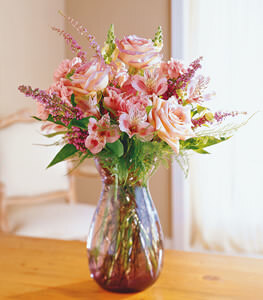 Pink roses, pink snapdragons and carnations are fetchingly designed in a glass vase. Perfect as a sweet sixteen birthday - or any cause for celebration!